My Parents Haralambos (Harry) and Alexandra met and got married in Australia. 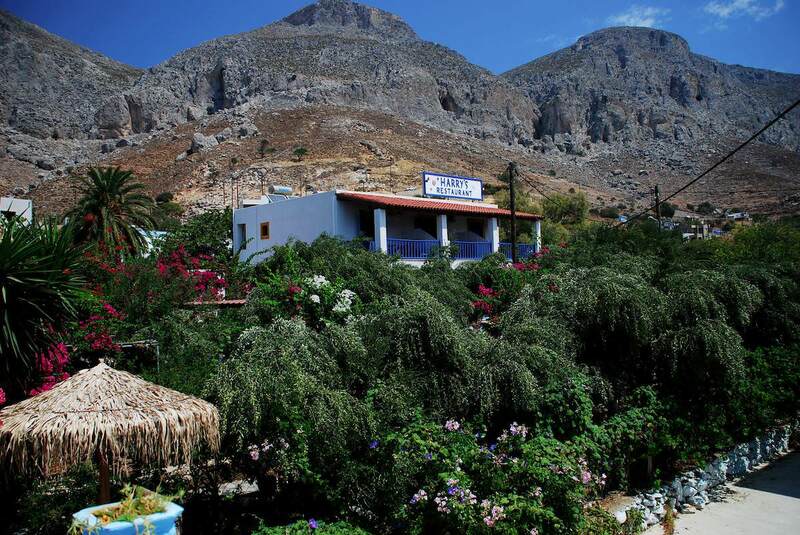 In 1969 they moved back to Kalymnos, where in 1979 they decided to have their own "paradise" in Emporios, where my father grew up and always loved to be. Working very hard year after year, they created out of a barren mountain what we are all now able to enjoy! 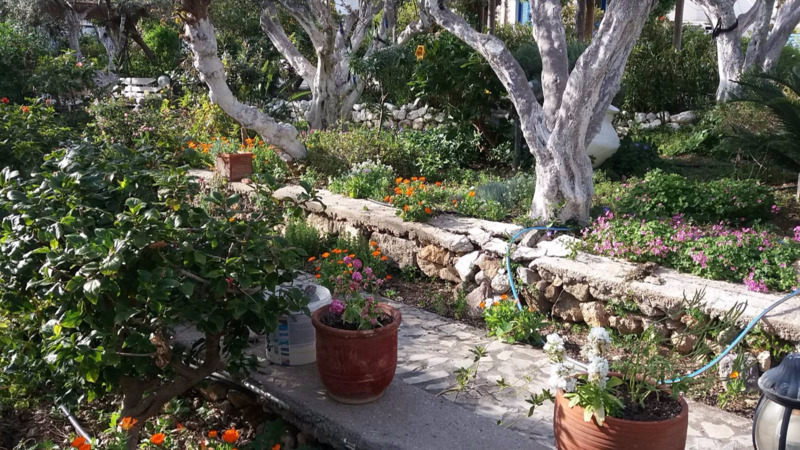 Our apartments block is located on the northern part of Kalymnos at a tranquil village called "Emporios" (pronounced "Em-bo-rios"). It is a lovely and picturesque small village with little houses and narrow alleyways. 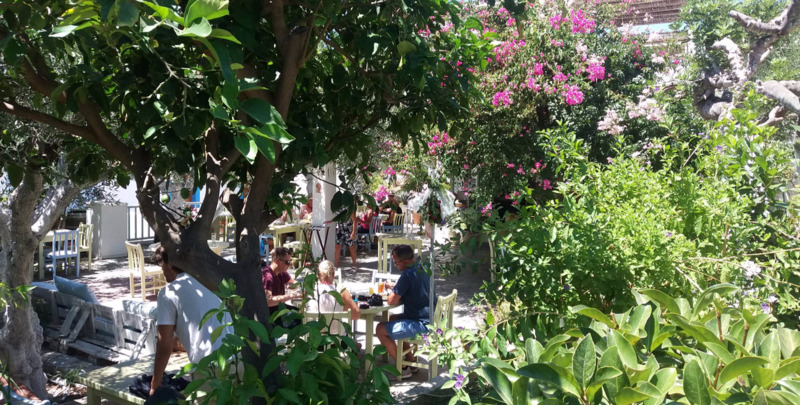 A few accommodations are available in Emporios as well as some cafes, tavernas and nice beaches located within walking distance from the village. The chapel of the village has a beautiful whitewashed bell-tower with a blue dome. Emporios is the beginning as well as the destination of some of the most beautiful walking paths on the island! It is in walking/biking distance from many big and interesting rock-climbing sectors and hosts 3 of the most challenging ones: 'Styx', 'Francois Guillot' and 'Kastri'. Emporios is also an interesting sailing destination, offering shelter to a significant number of sailing boats every year. Most of these sailors come back often which is indicative of the quality of the place. 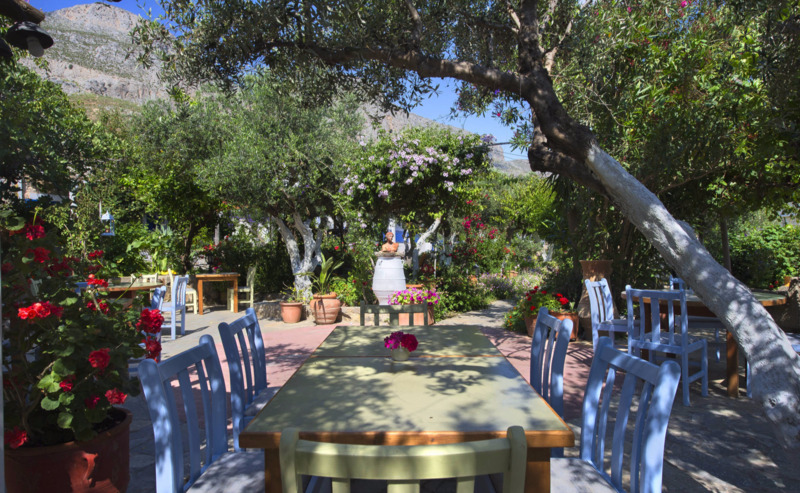 The people of Emporios are genuine, open-handed, warm-hearted people who will try to make your stay unforgettable. No wonder why some people who come here again and again consider us a piece of heaven on earth! There's an excellent guide for the people who enjoy the thousands of sport rock-climbing routes our island has to offer! 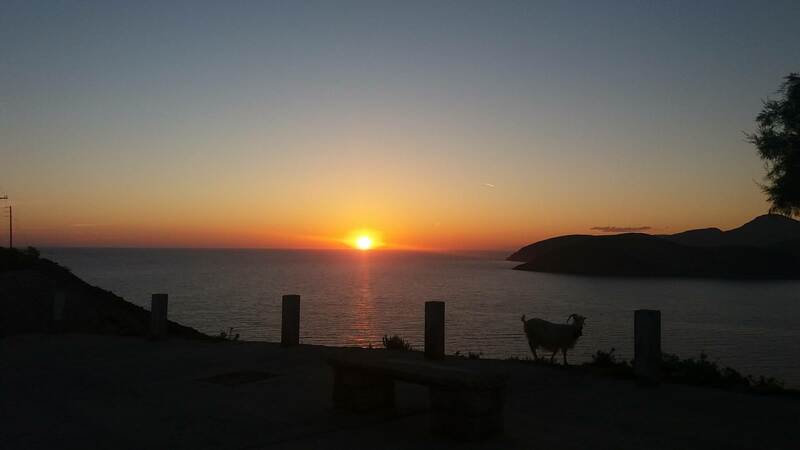 It is climbkalymnos.com, and apart from being the best effort to put together all the relevant info in one place, is right from the horse's mouth! It is maintained by Mr. Aris Theodoropoulos, who's the main person behind Kalymnos' establishment as a safe, fun place to climb after it was discovered. > Blue Star Ferries Schedules to/from Kalymnos/Piraeus, updated from Blue Star Ferries website. Check here. > Fast Ferries Schedules to/from Kalymnos, updated from Dodekanisos Seaways website. Check here. > Fast boats to/from Kalymnos. Average crossing time: 20mins. (Updates from ANE Kalymnos website). This is the Municipal naval company, that runs a fast boat to/from Mastichari. Very practical, runs often and waits for the last Olympic Airways flight that lands in Kos' international airport. > Olympic Airways flies to Kalymnos twice a day in Summer and Winter. Check here. > The Municipal Bus Service runs 3 buses and 2 small ones to/from everywhere on the island. Check their timetables/schedules from here. Upon arriving in the port of Pothia, at the entrance of the harbor you can find the Municipal Tourism Office. There one can get detailed information about the island, the hotels, the rooms for rent, the different schedules for boats, buses etc. We accept VISA, Mastercard and AMEX credit cards. MAESTRO debit cards are also welcome. > There are always taxis waiting at both locations. The distance from the port is ~22Kms and from the airport ~18Kms. Average price is 22 - 28€. > There's the Municipal Bus Service. This runs two buses/day for the Northern part of Kalymnos, twice a day for Emporios in the morning and in the afternoon. The schedule can be found here, in the island's website. Ticket price for Emporios is at 2€. > Rent a scooter or a car so that you can be independent and drive around at will. There are several rental companies that have both cars and motorcycles/scooters and can be easily found by a simple search!